After careers as a marketing executive in Corporate America and then as a residential Realtor, Michelle Cooper felt she was ready for a professional change. In a conversation with a friend and colleague, Michelle mentioned some of the unique challenges of a real estate career. Her friend thought all of about 5 seconds and said, “You need to become a professional organizer!” Michelle’s strong organizational and interpersonal skills served her well as a Realtor, and as soon as she heard the suggestion, she knew it was the right fit! After reaffirming her expertise with extensive research into the professional organizing business, all the pieces came together, and Put It There was formed in 2003. She immediately became a member of NAPO, the National Association of Professional Organizers and NAPO-GA. In 2007, she became a Certified Professional Organizer, CPO, as a member of the first group to pass an exam and qualify for the title. Also in 2007, Michelle saw her business grow enough to where she knew she needed another set of hands. Through a mutual friend and an extensive search to find just the right person to help her grow Put It There, she met Linda Lanier. Then came Eileen Garber a few years later who has added an enormous amount of enthusiasm and client support. Put It There is able to meet our client’s needs as we all share the same goals and genuine desire to help others. After 13 years, Put It There is going strong and is recognized as a leading organizing company in the Atlanta area. Who knows where the future will take it, but one thing is for sure. Good client relationships built on respect, trust and confidence will never change! An Atlanta native and mother of 2 children, Michelle Cooper was born with good organizational skills, which she has continued to sharpen throughout her professional career. 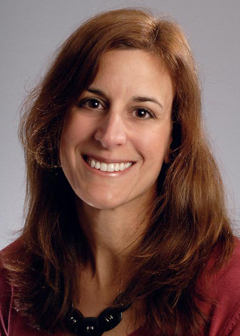 Armed with a business degree from the University of Florida, she began her career in Corporate America in 1990. Within a few years, she decided to follow in her mother’s footsteps and build her own business as a professional Realtor. In 1994 she embarked on a successful and extremely busy career with Harry Norman, Realtors in Atlanta. While Put It There was growing and thriving, Michelle began pondering how she could truly make a difference in the lives of children. She began speaking with a fellow Organizer, Michelle Grey, who shared similar goals. Together, they decided to apply their knowledge and experience towards empowering children with the organizational skills needed to become more successful and confident both at school and home.They did extensive research on the various aspects of individual learning styles and brain function, and more specifically how to identify an individual’s learning style. The results of their combined efforts led to the creation of Student Organizers of Atlanta and their comprehensive method they use to design organizational systems that accommodate each student’s unique needs. Michelle truly finds her work with both Put It There and Student Organizers of Atlanta extremely rewarding and enjoys meeting and working with each and every one of her clients. 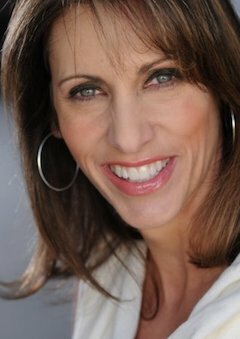 Linda Lanier grew up in an organized household and attributes her organizing skills to her extremely organized father. She attended the University of Texas at Austin and earned her business degree in management with a concentration in communication in 1988. After receiving her degree, Linda relocated to Atlanta and began her career in sales tax consulting. Linda worked for Touche Ross and Arthur Consulting Group. She advanced quickly in the sales tax consulting field and contributed to the creation of a sales tax consulting firm with Easley, McCaleb, and Associates property tax consultants. Linda retired from the sales tax consulting field to raise her two children. Linda’s analytical, organizational, and detail orientated skills attained through her career led her to a career as a professional organizer. 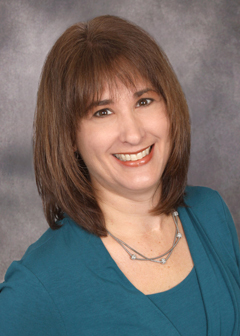 Linda enjoys working with clients to achieve their organizational goals for their home and workplace. Linda is a member of NAPO, NAPO-GA, ICD and was the Volunteer Coordinator with the Atlanta Hoarding Task Force. Eileen has been organizing for her family and friends since high school. Her friends’ moms loved when Eileen would come to their house because that meant the pantry and refrigerator got organized! Armed with a Bachelor of Arts degree from Southern Methodist University, Eileen worked in various jobs from advertising to cosmetic sales before becoming a mother and raising her 2 children, now ages 22 and 20. She has led successful Multi-Level Marketing businesses with her strong networking, sales and client satisfaction skills. Eileen joined NAPO and NAPO-GA in 2009 and has made organizing her career since then. Her previous career experience, combined with her innate gift of empathy, sensitivity, organization and fabulous sense of humor allow her to be very successful in helping clients reach their organizing goals. She has gained experience in packing and moving projects as well as paper management and chronic disorganization. She has found her true passion and loves helping clients see tangible results. We develop systems that work with you, your family and your lifestyle. Just because an idea works for someone else does not mean it is the right one for you. Make organizing and purging a constant project. It is easier and much less time consuming to spend 10-15 minutes on a regular basis than hours or even days once it gets out of control. Leveraging exceptional organizational skills and real estate industry experience to increase the personal and professional productivity of our clients, by implementing systems to help them gain control over their time, schedule and belongings. We are committed to working with you to set up systems that will work for you and your lifestyle. We work directly with you, respect your input, and address your specific needs and goals. We are committed to running an honest, confidential business, thereby always adhering to the Code of Ethics set by the National Association of Professional Organizers.